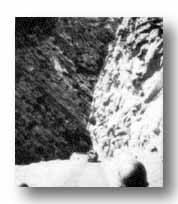 Opportunity fired the gun that started the race, a race to seal off the German Nineteenth Army and make good the bid for Southern France. The enemys defense was broken. To press on every minute was of utmost importance. In gaining maximum mobility every vehicle was taxed in day and night duty, and transportation improvised. Units in reserve walked. 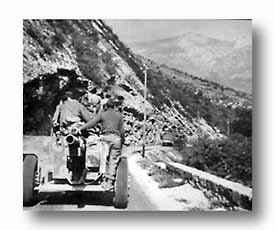 A light, speedy task force raced through soaring mountains that reminded the men of southern Italy. 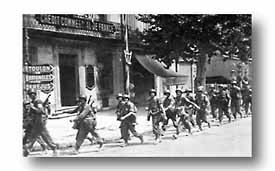 Motorized task forces of the 36th, breaking out from Draguignan, made phenomenal progress by dashing north. 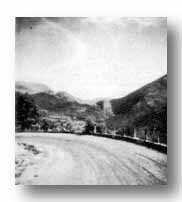 ward over the mountain road Napoleon Bonaparte had taken on his return from Elba. Task Force Butler led off early on the morning of August 18. Reiz, Digne and Sisteron were reached. From there TFB turned west toward the Rhone Valley. 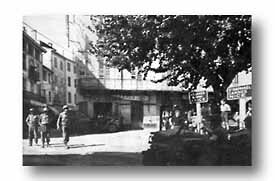 Other Division troops, under Gen. Stack, thrust due northward by way of Castellane, Digne, Sisteron, through Gap and pressed on to take Grenoble, pacing as much as 90 miles in one 14-hour period. 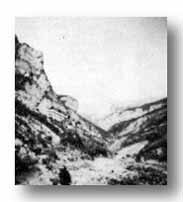 A third element raced eastward from Gap to block passes at the Italian border near Briancon.